Often when we go south we try to include the Park of Drottningholm in our itinerary. This was luckily the case this year too. I love the green room in the Chinese Pavilion, as it is the most beautiful room I have ever seen. We also paid a visit to the Palace of Haga, where the Crown Princess of Sweden, Victoria, Prince Daniel and future Crown Princess Estelle live. Unfortunately no pictures could be taken of the palace. 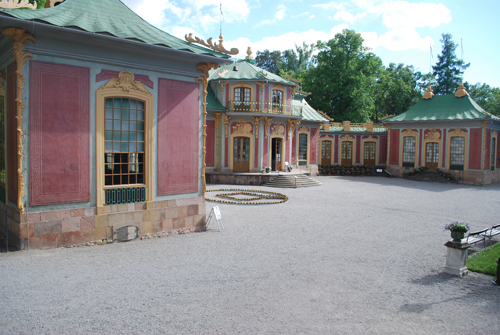 The Pavilion of Gustaf III was as always nice to see. Delta Airlines is always the preferred airline when we go to the USA or fly within North America. We passed Iceland, Greenland and Canada on our way to New York. 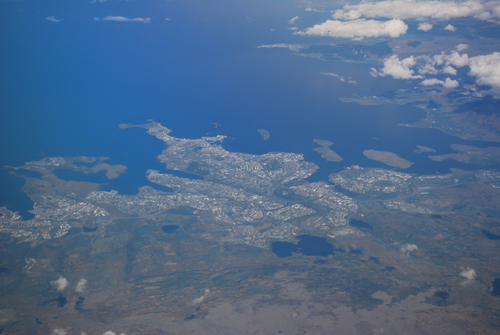 The Strait of Denmark between Iceland and Greenland is fascinating to me as the German battleship Bismarck tried to evade the British Navy in 1941 through this stretch of water. It sank HMS Hood in the Battle of the Strait of Denmark, but was later sunk by the British in mid-Atlantic. 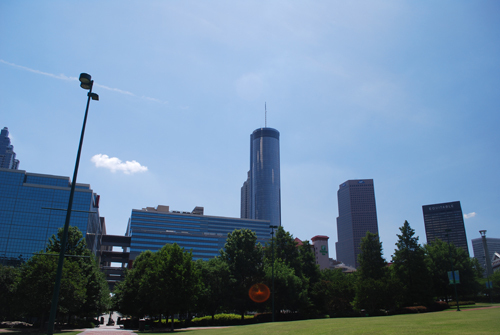 The nicest people in the USA seem to live in Atlanta. We met various people like, house owners, dog owners, hotel staff, librarians, people on the bus, panhandlers, members of the friendly Ambassador Force, shop staff, passers-by. Many of them started up a conversation with us and was genuinely interested in us. They asked us about where we came from, how many days we had been in and would be in Atlanta, what we had seen, how many times we had been to the US etc. One person told us the history of segregation in Atlanta and adviced us on points of interests. The Georgia Aquarium was what everyone said, and by chance Lizette had said we should go in there the first hours of the first day in Atlanta. Spot on in other words. We also visited Coretta Scott King and Martin Luther King's grave, and the day after the Carter Museum. 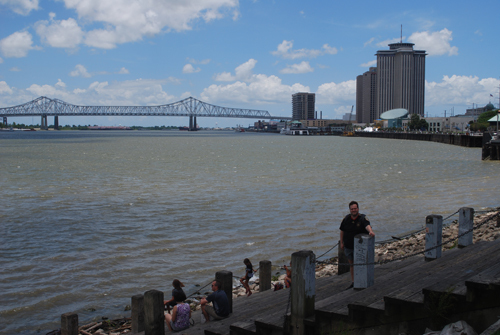 Lizette's favourite in North America is New Orleans. It is a very nice city, and it is sometimes called the Big Easy. Even though it was warm there, the Mighty Mississippi provided coolness for us, so the heat was almost never unbearable. One of the first things we did was to visit the National World War II Museum as we are both interested in this war. The D-Day section is what they are famous for, and it is indeed very good. We saw plantations (among them the most famous one the Oak Alley Plantation), former houses of Anne Rice and, cemeteries (which are special because people are buried above earth and not below as is normally the custom). We heard calliopes for the first time and later went on a tour with the steamboat Natchez. One of the things we saw was the Battlefied of New Orleans from 1815. It was, however, an unnecessary battle as the war was already over since two weeks. The problem was that the news had not reached the USA from Europe in time to prevent the battle. 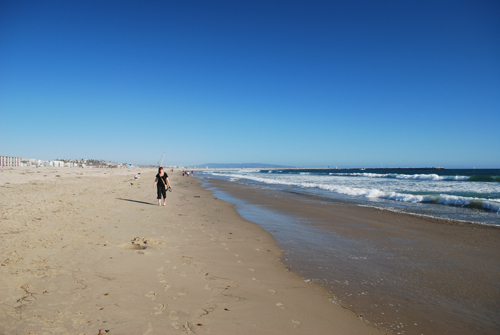 The time limit in the Los Angeles area was only two days, but we managed to see the beaches of Santa Monica State Beach, Venice Beach, Marina del Rey, and Long Beach, downtown Los Angeles, Sunset and Hollywood Boulevards, Beverly Hills, Walk of Fame, and the Hollywood Sign. Things we missed we will see the next time we go there. The beaches was my highlight of the journey. We immediately went to the Pacific Ocean and I had a bath after having picked up our Chevrolet SUV on 23 June 2012. 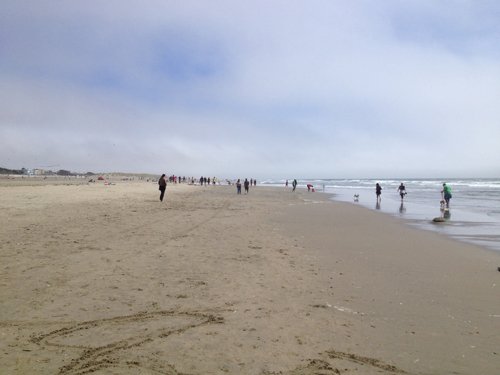 This was the first time we saw the Pacific, and we were thrilled. We enjoyed a four-hour walk at the water's edge on the beaches the day after. I long for these beaches everyday! 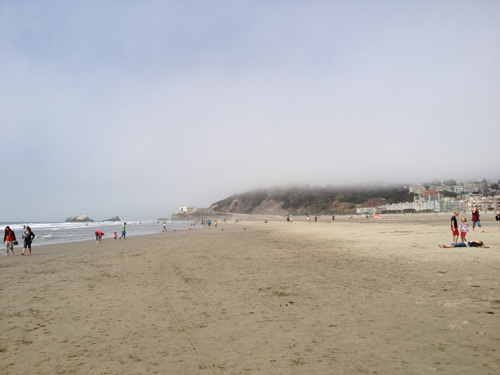 On 25 June 2012 it was, however, time to go to San Francisco with our SUV. 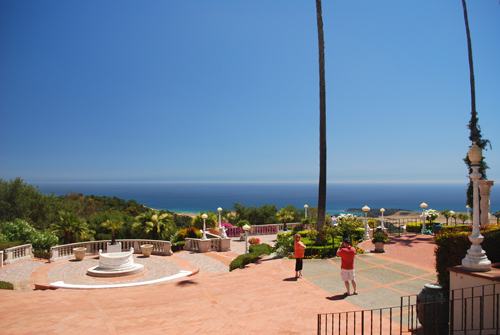 We wanted to go along the coast, as we figured that we might get some really good views of the Pacific, and we were not disappointed. Every time we rounded a bend we giggled with happiness when seeing the ocean. We stayed in Santa Cruz for the night in a Best Western Hotel. We had dinner at the diner Denny's. In the morning we visited the Henry Cowell Redwoods State Park and saw the biggest trees we had seen in our lives. Later in the day we visited Walmart, also for the first time. Before we arrived in San Francisco, we saw the aircraft carrier USS Hornet in Alameda. The guide was an ex-serviceman on the USS Yorktown, so he knew everything there was to know about aircraft carriers. 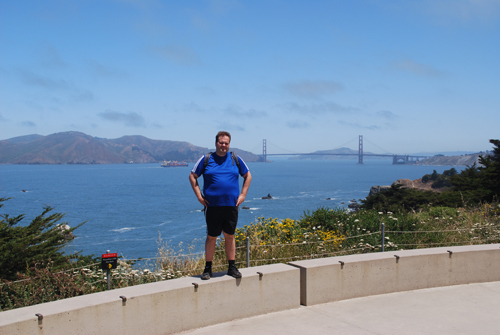 Later during the day we drove across the Golden Gate Bridge and had dinner at Sausalito, drove up the Lombard Street and then down the famous curves, and checked in at Hotel Whitcomb. After having done so, we drove to the airport to drop off the car and return with the BART (public transport trains) to the hotel. We had never seen so many homeless people before we came to San Francisco. The social authorities could have a lot to do there if they wanted. Sights we did not miss were Lincoln Park, USS San Francisco Memorial, the Presidio, The Golden Gate Bridge, Chinatown, Transamerica Pyramid, Fisherman's Wharf, the cable cars, the Castro District, the Golden Gate Park, the Pacific beaches. We are very in to seas as they are very beautiful. This was our second visit to New York, and we kind of re-lived our first journey. 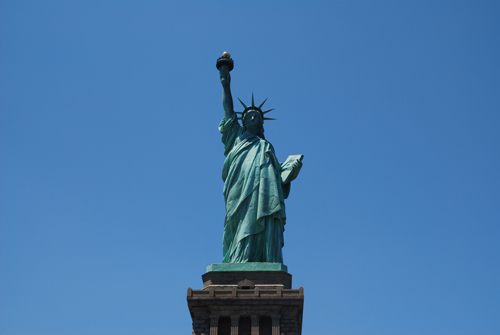 We saw the Staten Island, the Statue of Liberty, Ellis Island, all the shops from last year. Some new things this year were the 9/11 Memorial, Top of the Rock the Hard Rock Cafe, the Guggenheim Museum, and the Phantom of the Opera. We felt nice and comfortable in New York and did the shopping that needed to be done (even though it has to be admitted that we shopped a lot in San Francisco) and were just taking it easy. I enjoyed the skyscrapers a lot. I have a special interest and that is, as the headline states, streets and avenues of New York. 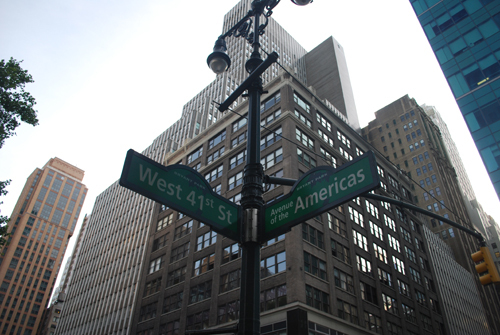 My favourites are Lexington Avenue, 5th Avenue, Avenue of the Americas, 7th Avenue, and Amsterdam Avenue. If you are extremely interested in this subject you will most certainly enjoy the pictures. If you are not, please enjoy something else on my website. We produced our iPhones when we just wanted to take one photo or when we did not feel like using the Nikon D60, as it is sooo big. The photos below are things and places I thought were interesting. These are the things and places Lizette found interesting.